New photos and work on display on our Facebook Page! I can undertake a wide range of jewellery repairs. 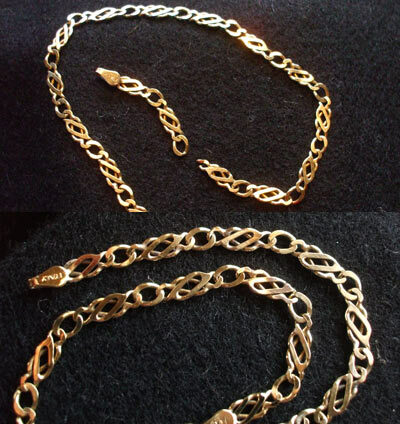 The photo on the right shows a gold chain - before and after repair. I can repair rings, bracelets, brooches and pretty much any kind of jewellery. I have a fully equipped workshop and can fabricate any spare parts for jewellery as necessary.